Alliance of Valiant Arms (A.V.A. ), the popular free-to-play first-person shooter from Aeria Games, celebrates its 5th anniversary tomorrow! To commemorate five years of multiplayer mayhem, A.V.A. is launching a new, action-packed map of a deserted island, home to rebels and a huge, great white shark!. 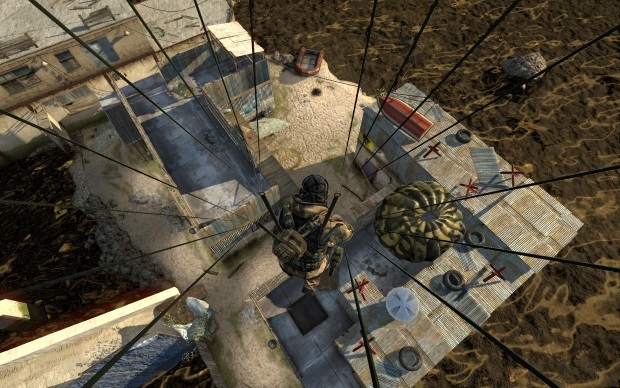 Players can take advantage of fun mechanics on this new Demolition mode map by utilizing boats, parachutes and elevators to get the C4 explosive to its destination and win the match. During the anniversary celebration, A.V.A. fans can take part in fun events like a hunt for special ‘Game Sage’ accounts and a daily battle between the Game Sages and five randomly selected players. Players will fight for a chance to win in-game currency and a choice of weapons. Anyone who wishes A.V.A. a “Happy Birthday” via in-game chat will be entered to win one of various Aeria Points prizes. Additionally, players can use in-game currency for a chance to open a “Secret Box” that holds hundreds of mystery items, including permanent weapons. The anniversary celebration begins today and runs through November 8.